I think it is a good idea to mention January’s Jupiter-Neptune square again at this point, as the energies of the square perhaps did much to support and align well with this theme. 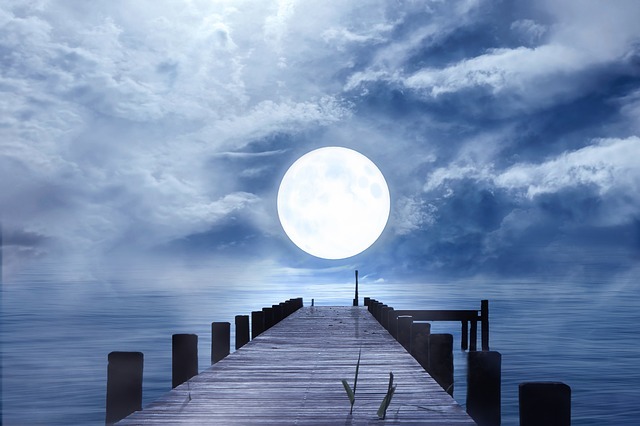 Jupiter forming this major aspect with Neptune, as it did during the Full Moon, no doubt opened many doors of possibilities and opportunities for us relating to our personal and collective ideas, idealistic views and in expanding our horizons, both spiritually and academically. The Jupiter-Neptune square happens again twice this year, both in June and then in September. I always like to remain positive in my interpretations, because, no matter how much tension and difficulty there is indicated amongst the planets, I believe that we can really make the most of them if we work with them the best we can (rather than against them) and use them to our advantage in some way, as long as we have good intentions towards ourselves and others. Jupiter ruling this coming Full Moon chart may help to lighten things up after what may have been a difficult few weeks, even for those of us who have no conceivable current problems as such and I think this could, in part, be one interpretation of Mercury’s stationing to begin retrograde motion on the 5th March from the anaretic degree of Pisces (29°), which is one of the signs Mercury is known to find positive expression more difficult. 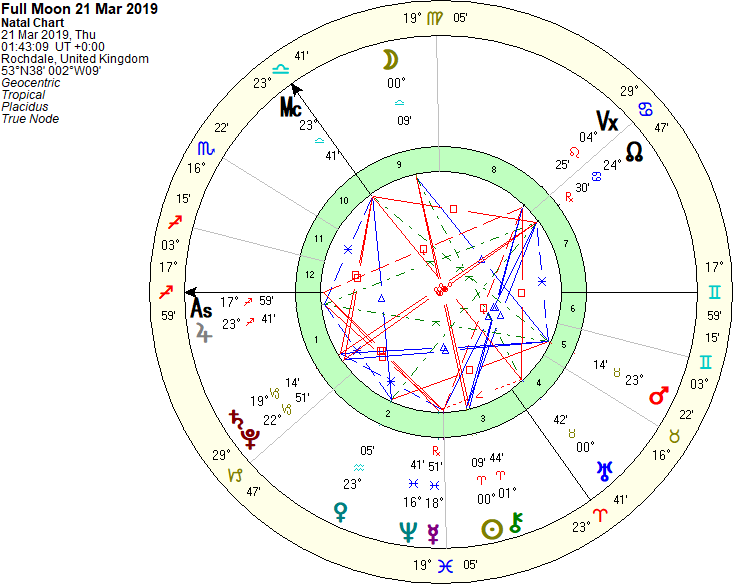 The Mercury retrograde is in itself notoriously difficult, but these extra cosmic circumstances potentially impact this energy further, yet another one being that Mercury is closing in on a conjunction with Neptune, which will occur exactly on the 24th March. The conjunction will then remain until the 4th April. So, if your life seems to have slowed down lately due to circumstances beyond your control, you consistently feel like you’re trying to run or shout through deep water and/ or your computer, email system and perhaps your car and any large corporation you usually have to rely on are dissolving or buckling under a seemingly invisible pressure, just slow down, please try to relax and remain positive. These things are usually only temporary. We have some very helpful contacts between Venus, Jupiter, Mars and then Pluto during this Full Moon, which is in the peacekeeping sign of balance and tranquillity, Libra. If you would like to subscribe to receive ‘The Post’ via email every month, just in time for the Full Moon, you can do so here. I have included a chart of the Full Moon at the bottom of this page. Blessings, from Gemma at Vine Astrology.